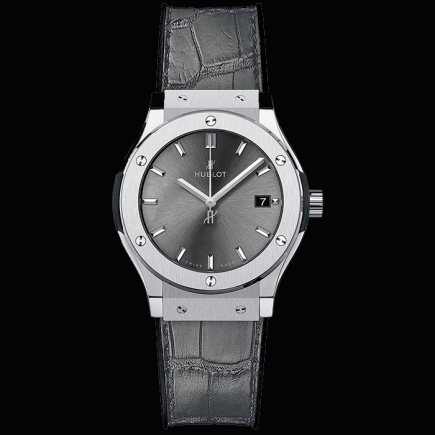 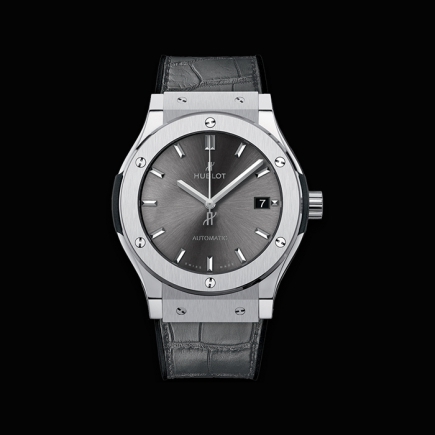 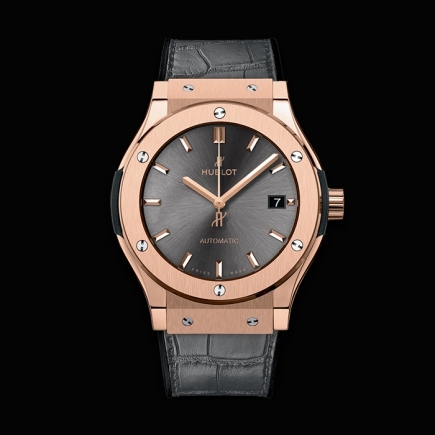 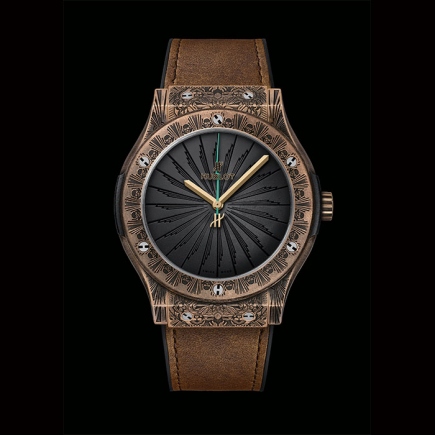 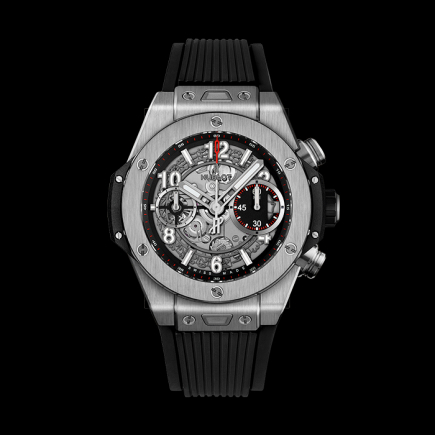 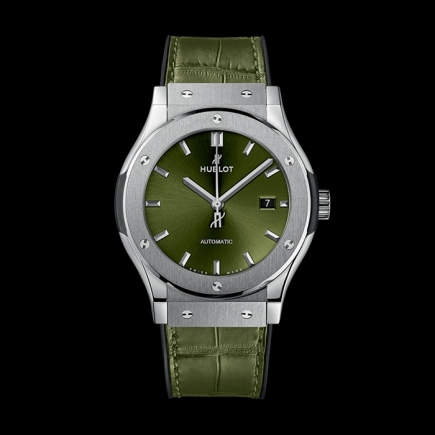 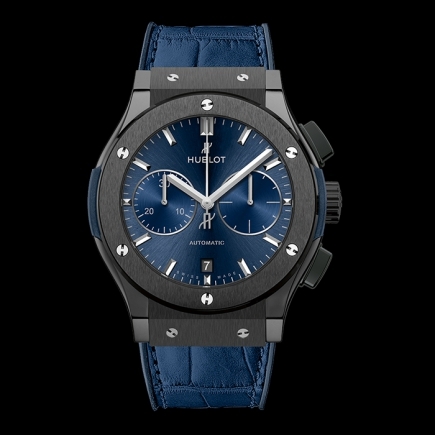 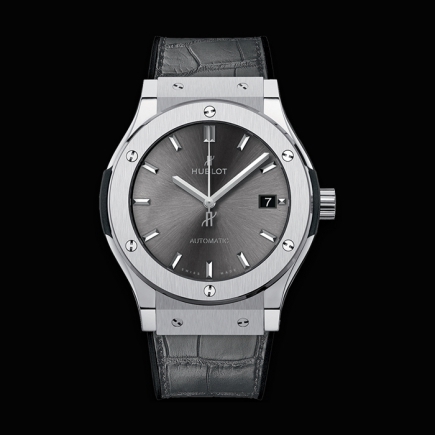 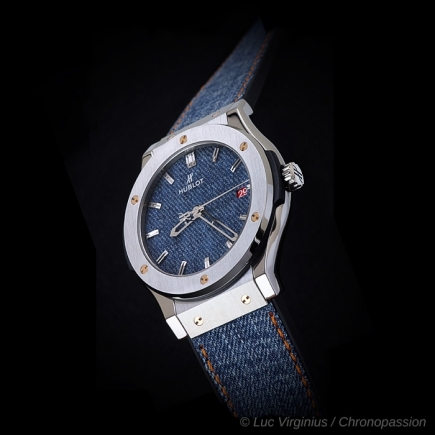 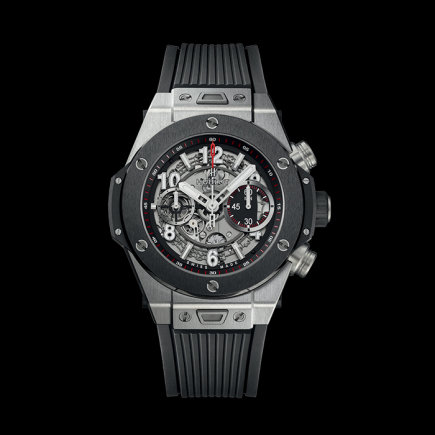 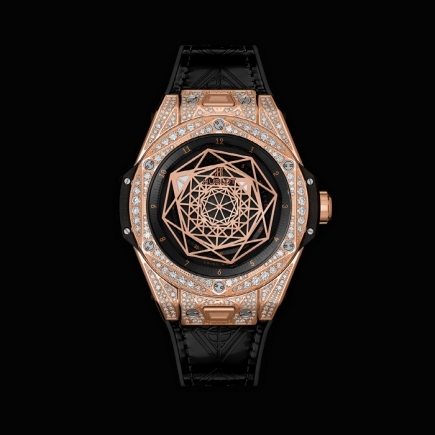 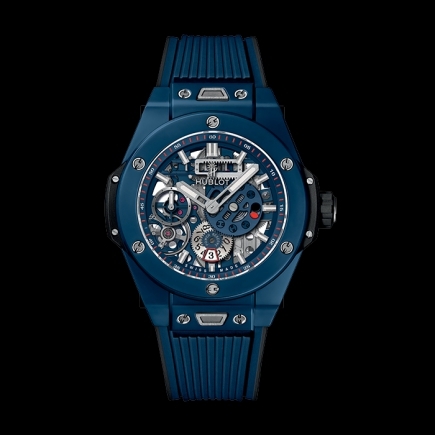 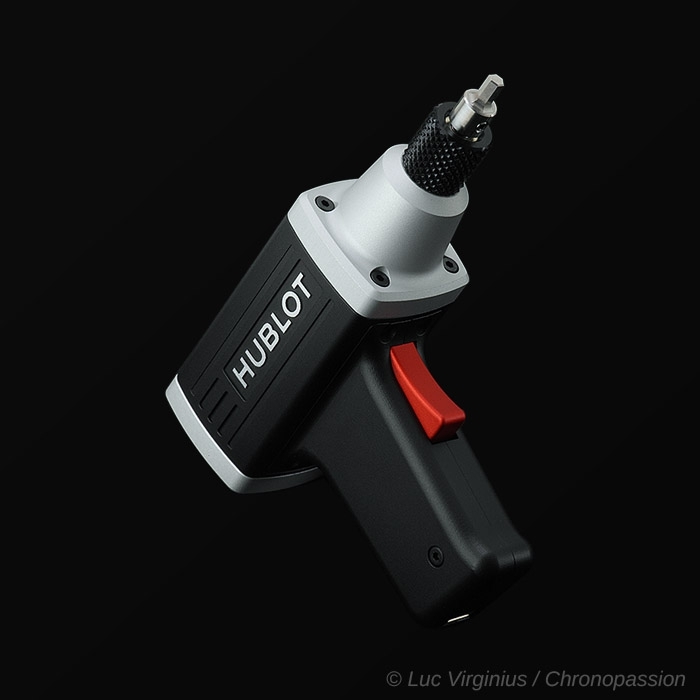 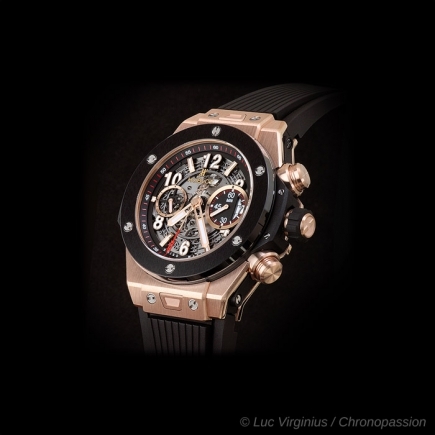 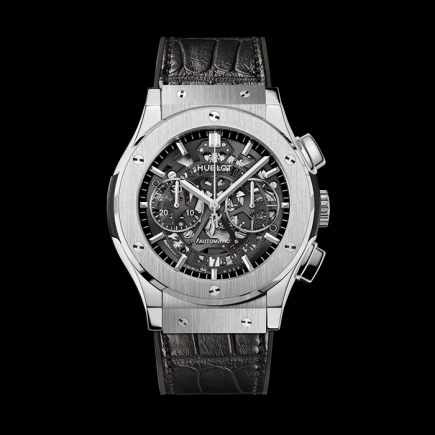 hublot | 312'000 € Tax inc. The watch is finely wrought in terms of shape, featuring a complex shaped sapphire crystal clearly reminiscent of the car's outline, as well as an open case-back, and is made from black PVD titanium. 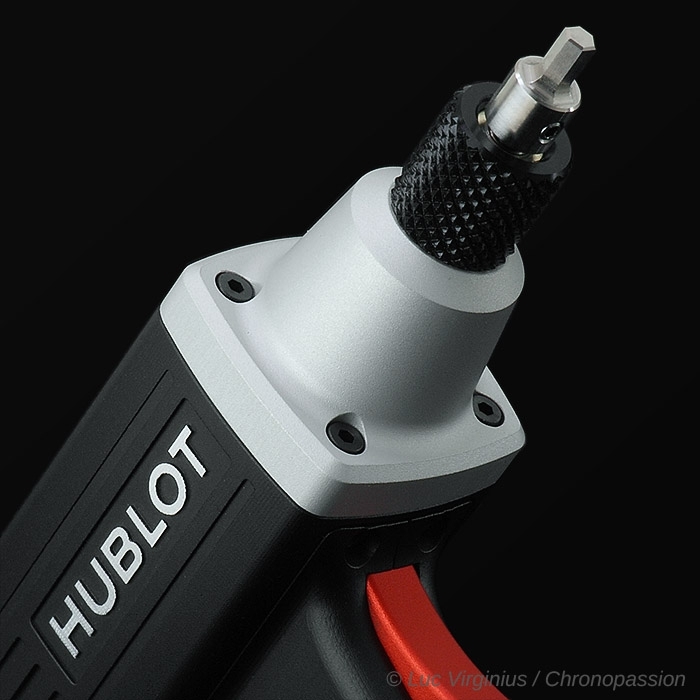 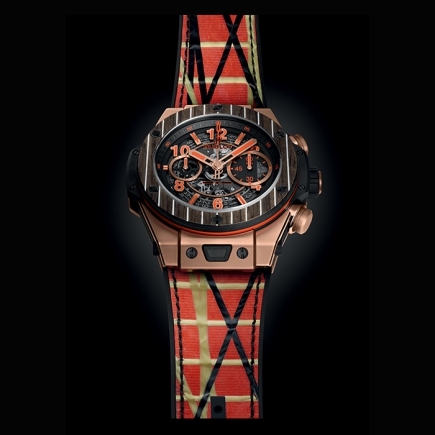 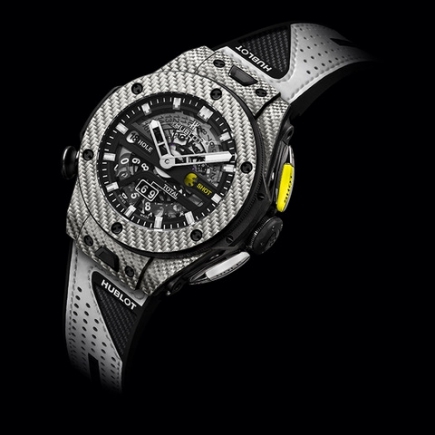 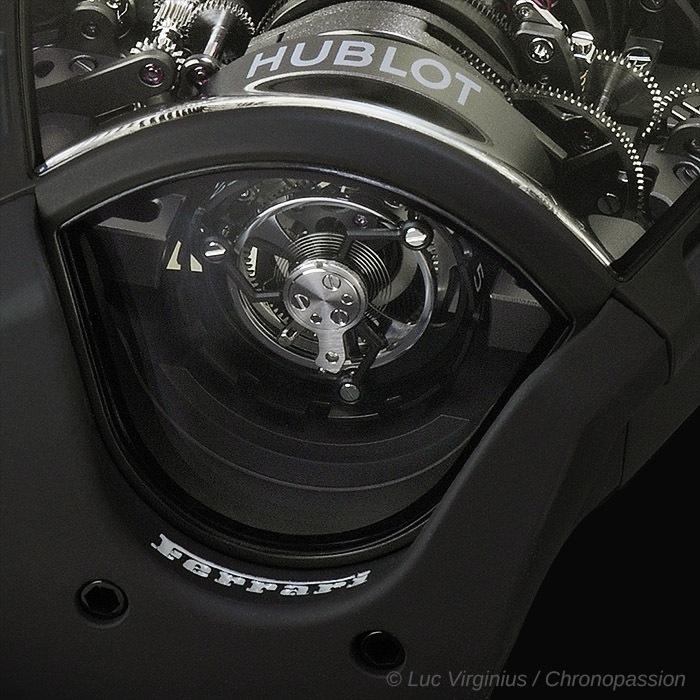 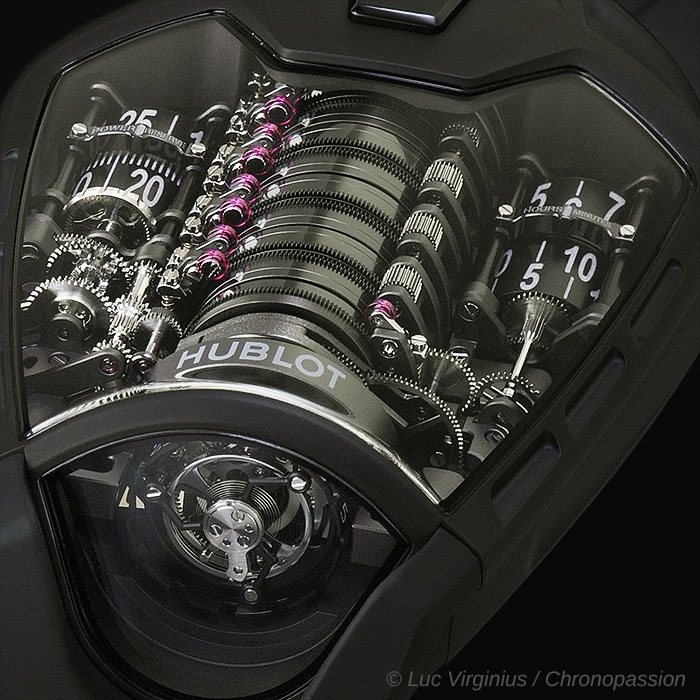 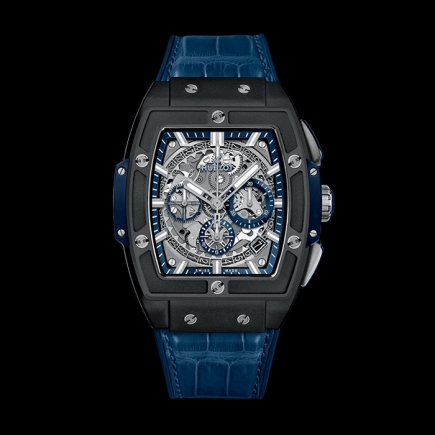 It is topped by a titanium and carbon insert in its centre, revealing the winding crown. 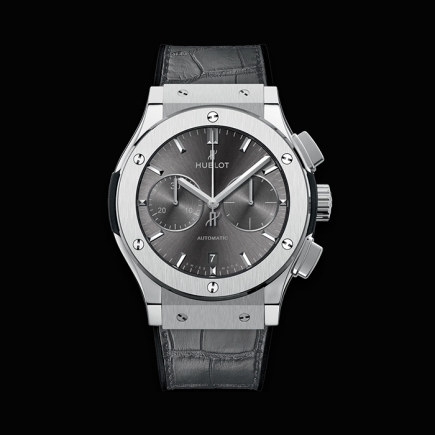 The time-setting crown is positioned under the case. 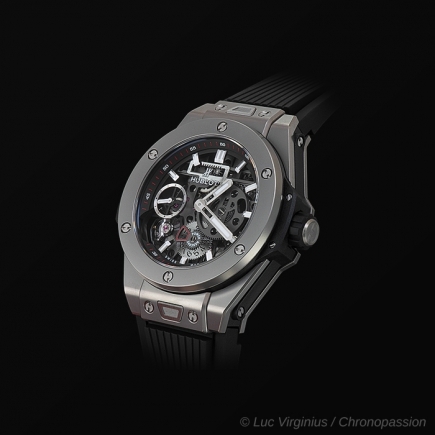 Both are completely integrated into the design, and therefore practically invisible. 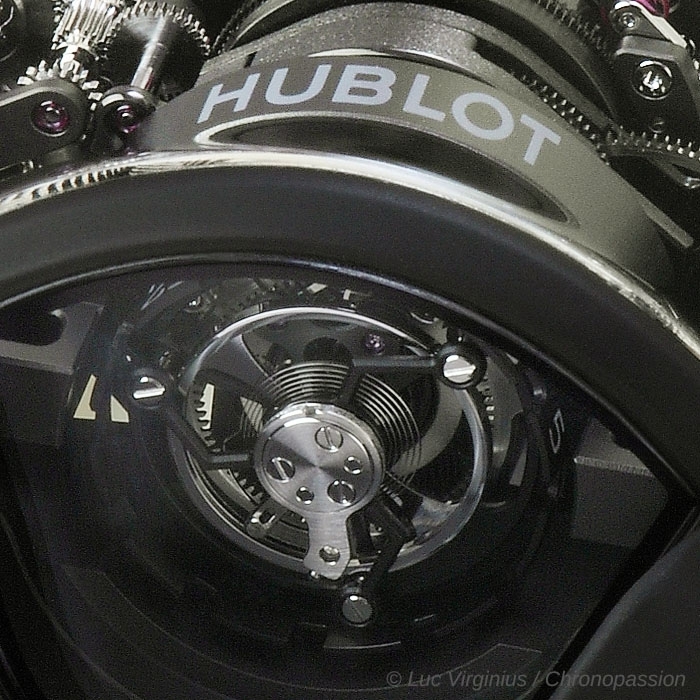 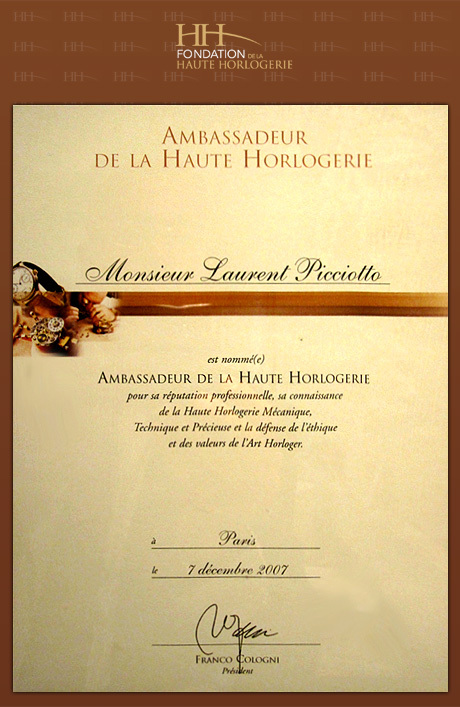 The movement has an original display, featuring first off on the front vertical face the small seconds indicated by means of an aluminium cylinder fastened onto the suspended Tourbillon cage (significantly bigger than usual with a cage diameter of 14.50 mm, for even better appreciation of the mechanical parts). 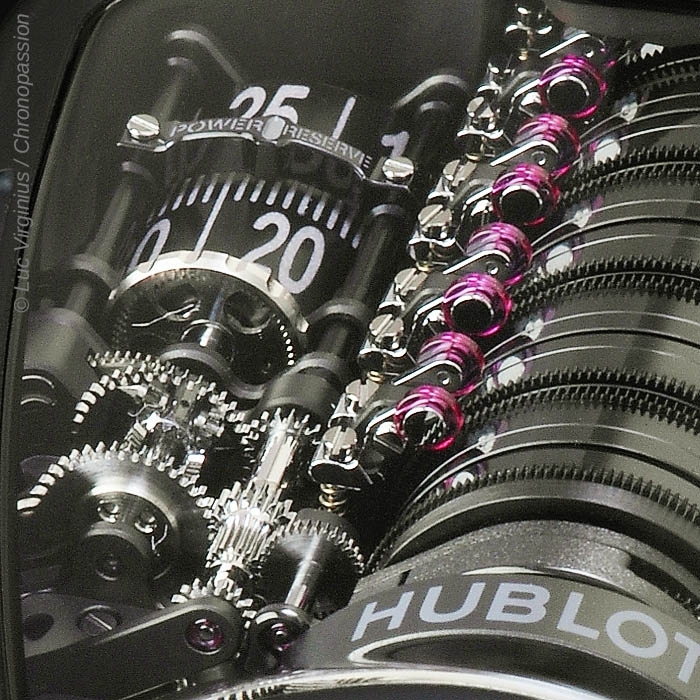 The hour and minute are displayed to the right of the barrels, also indicated by means of one anodised black aluminium cylinder each. 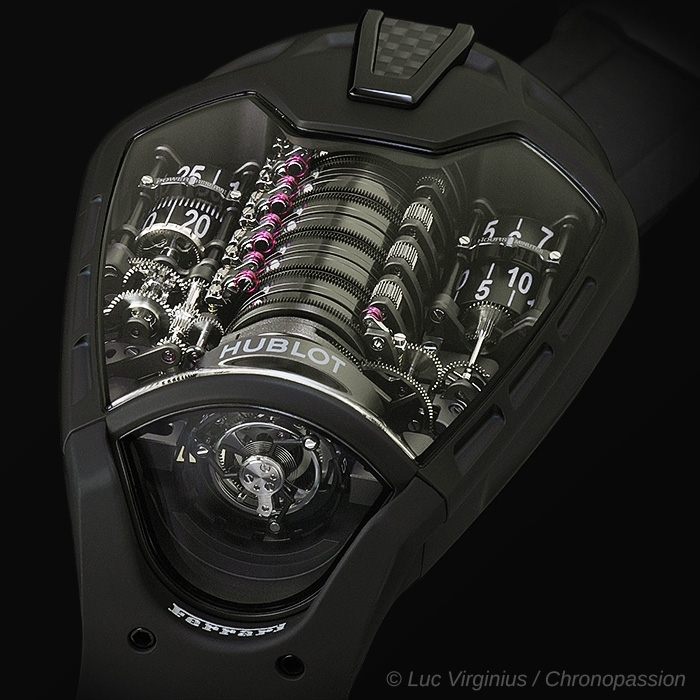 On their left is the cylinder indicating the power reserve. 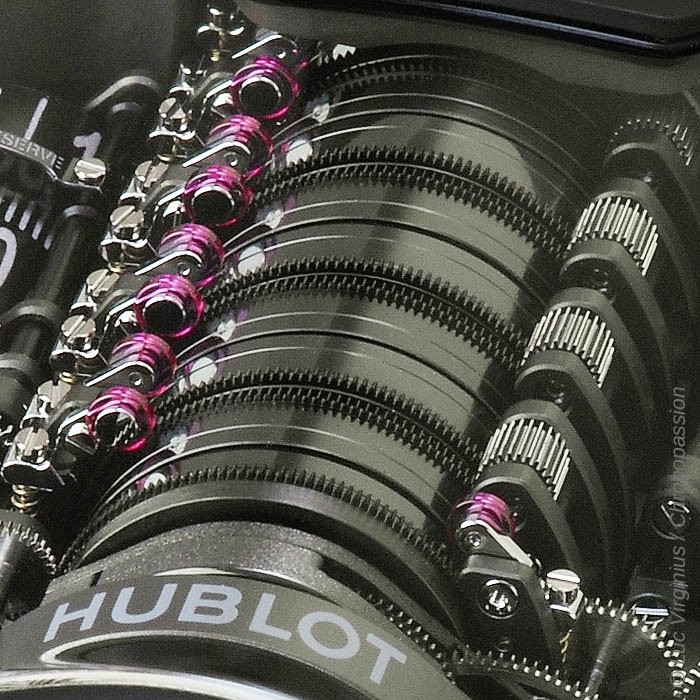 Reinforcing bars either side, made from anodised red aluminium, bring to mind Ferrari's red signature. 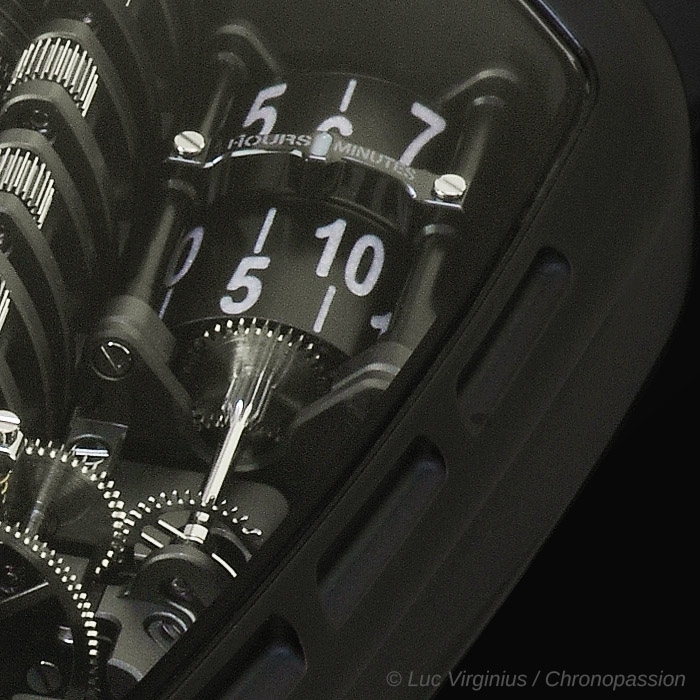 A small detail, but one which makes reading the time easier; on each cylinder the size of the numerals has been maximised with white SuperLuminova™, to enhance the display for ease of reading. 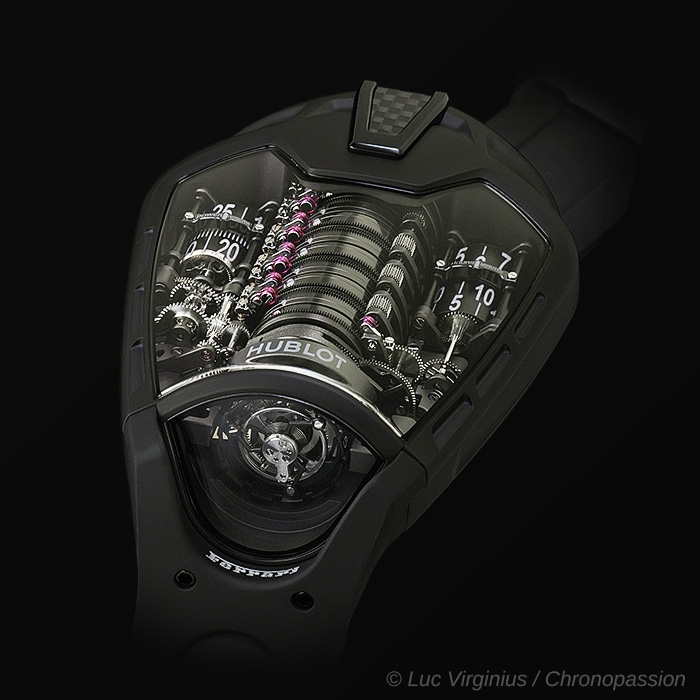 This is all rounded off by a rubber strap with a special folding buckle in black PVD titanium. 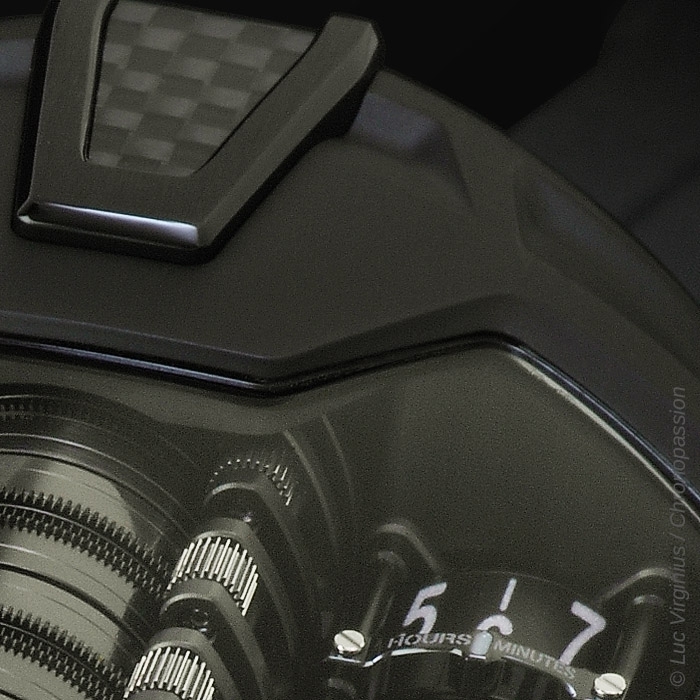 The desire for a truly exceptional watch has been extended to the design of the presentation case, made from schedoni leather and carbon fibre, containing the specific tools for winding the watch, and whose design was also inspired by the world of motoring. 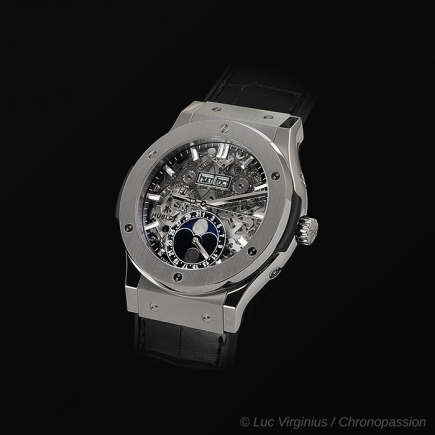 Limited edition of 50 numbered pieces.